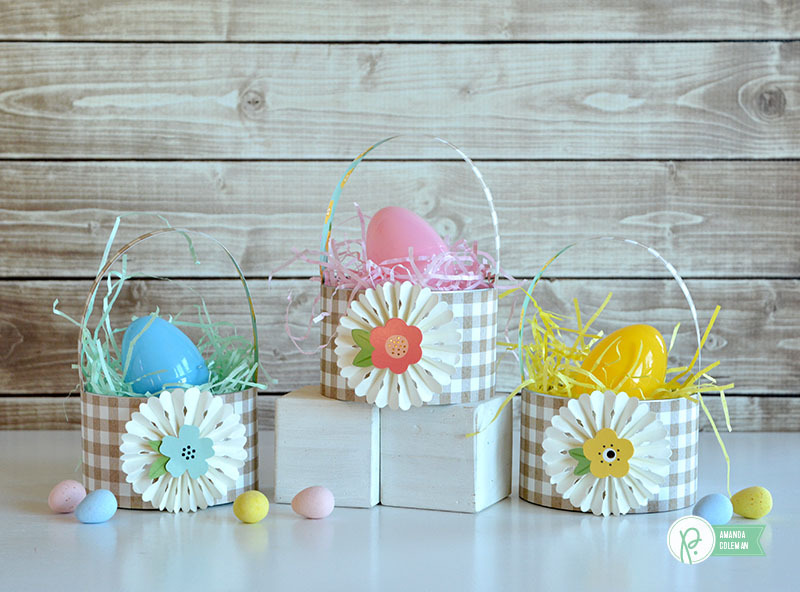 Mini Easter Baskets - Pebbles, Inc.
Howdy Pebbles fans! Amanda here today. Easter Sunday is just a few days away, but it’s not too late to put together a quick and easy gift basket that you can fill with goodies. You can complete this project with a couple of empty containers and a piece of paper. It really is that easy! It is fun to give sweet treats during the Easter holiday week whether to a neighbor or friend or family member. 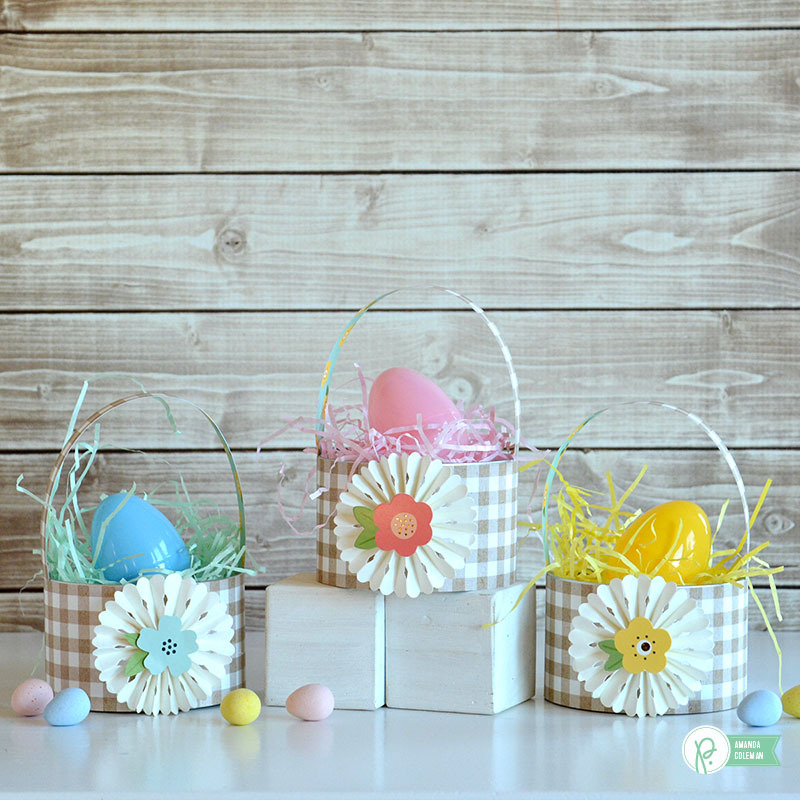 While candy may be the typical gift of choice, you can stuff these little baskets with other small gifts, or even a dollar or two for the kiddos. Everything is cuter in miniature size. 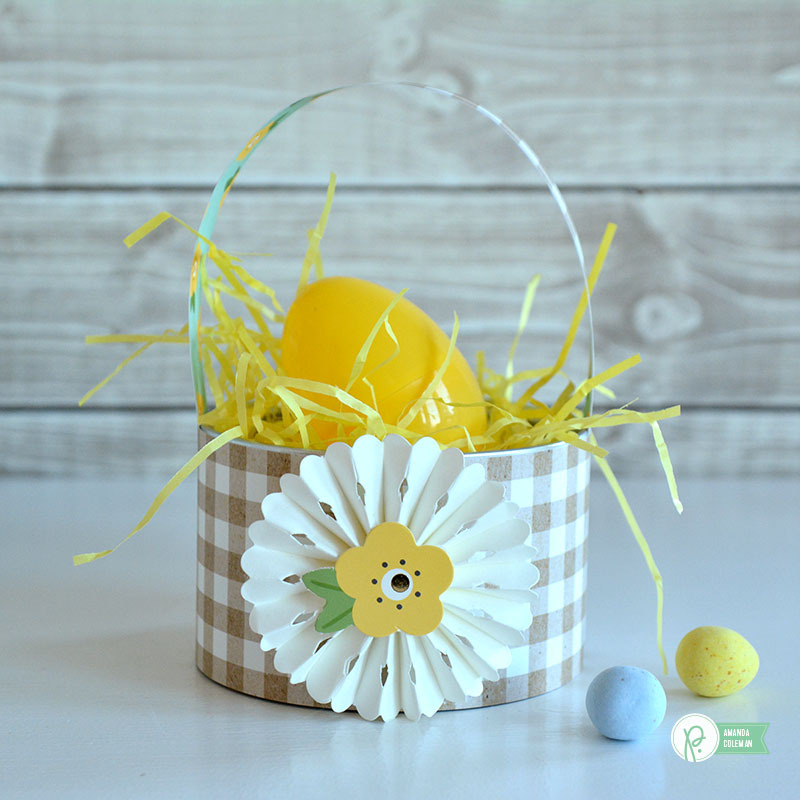 This sweet little Easter basket is just big enough to hold an Easter egg or two. The gingham patterned paper makes it look like a little woven basket. 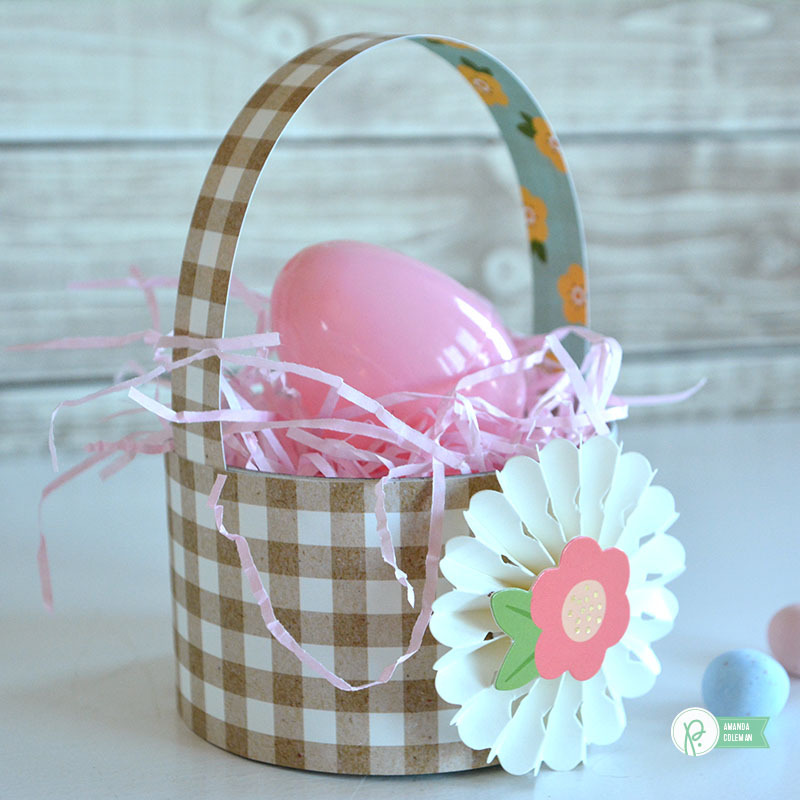 The Spring Fling collection is full of cute kraft patterned paper that would make equally cute Easter baskets. And embellishments are optional. This gingham basket would still be perfectly cute all on its own. Each basket is made with a repurposed can (inexpensive and good for the Earth) and two strips of paper. 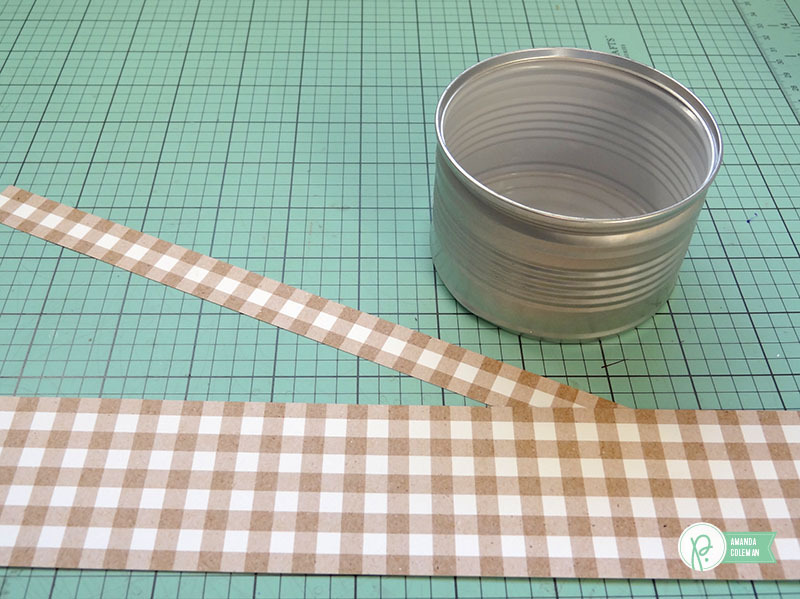 Measure the height of the can and cut your gingham paper to size. Cut a narrower strip of paper to create the basket handle. 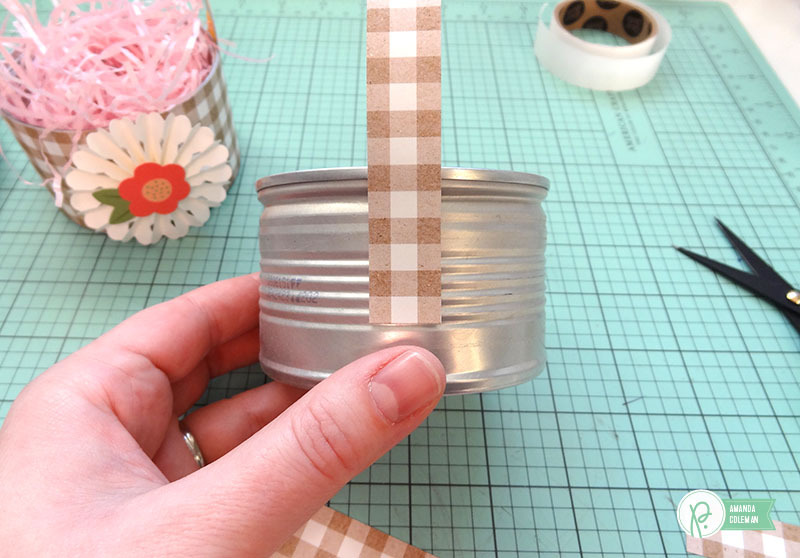 Adhere the narrow strip of paper (basket handle) to the can before wrapping the can with the wide strip of paper. Fill the baskets with Easter eggs, candy, or other fun goodies and be sure to give them away. Your friends and family will love them! Happy Easter!